Easy loading and unloading of long and bulky parts. 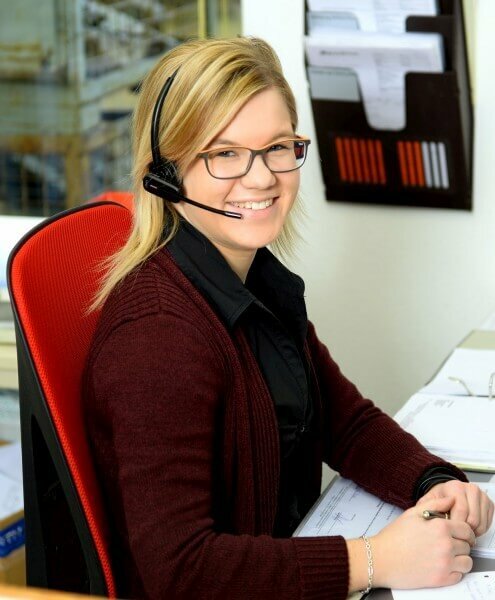 Barth GmbH is constantly working to make everyday operations in the working world easier. 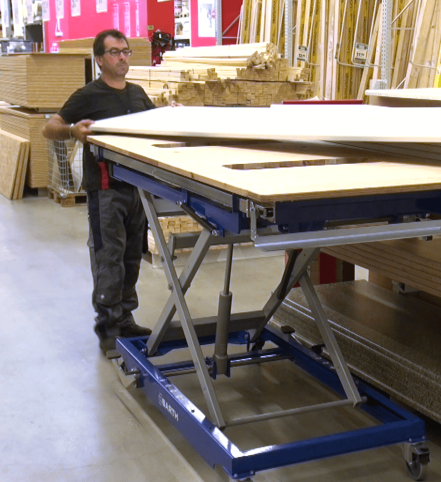 Now, the existing product range of the lifting table series H 300 XL has been extended by a variation. 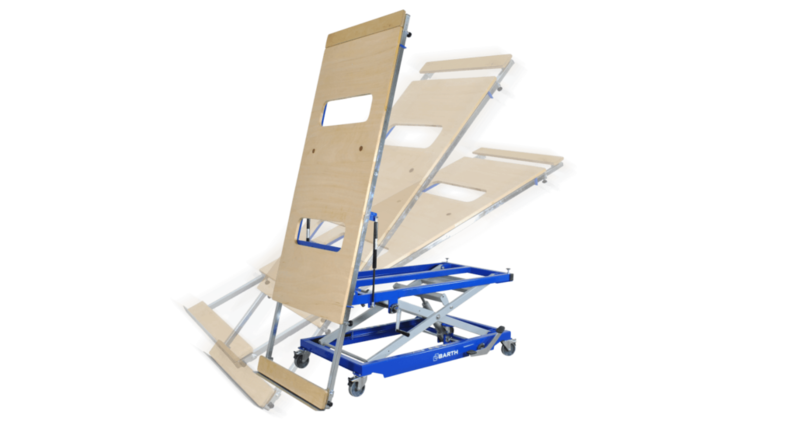 The new tilting table kippLIFT facilitates the transport of long, heavy and bulky parts by easy loading and unloading. The base structure of the “lifting table 300 XL” is maintained with all its benefits, and is enhanced by a smooth-moving tilting system. So, the worktop of the table can be swivelled lengthwise by 89°. The two powerful gas springs support the manual crank drive and allow workpieces of max. 4 meters and 75 kg to be tilted effortlessly. For long workpieces, a 500 mm long pull-out is provided on both sides. On one side, a 74 mm wide angle stop is installed which is used for holding the workpieces, when tilted. 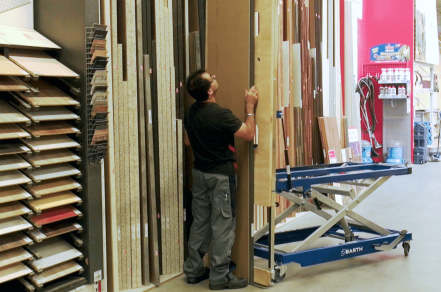 So, you are able to move bulky pieces on your own from the vertical to the horizontal position. 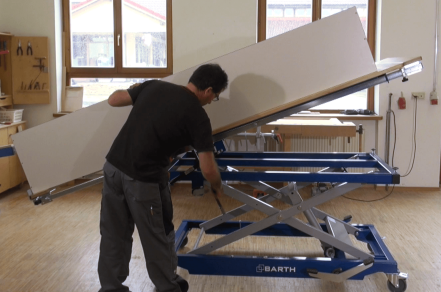 BARTH – the base version of the “lifting table 300 XL” includes a smooth-moving movable frame for easy handling of the table, a lifting system operated by pedal lever and a load capacity of 300 kg. This lifting system makes it possible to adjust the lifting table to individual working heights between at least 720 mm to max. 1,250 mm. 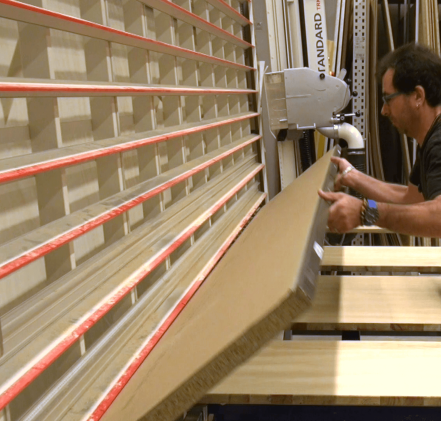 When designing the “kippLIFT”, the ergonomic operation and the smooth moving of the system were given special importance in order to transfer these features to the intended working environment.